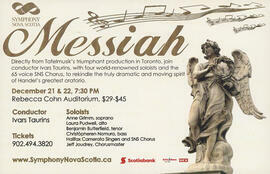 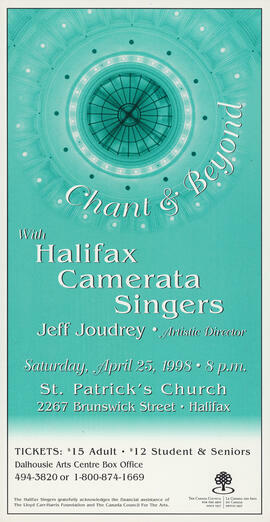 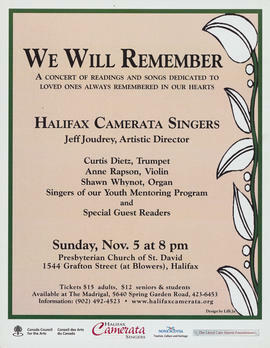 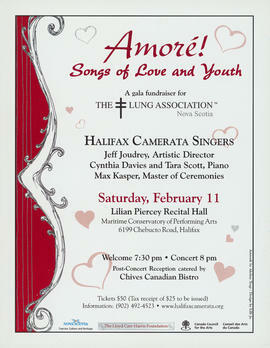 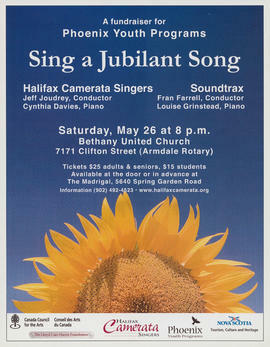 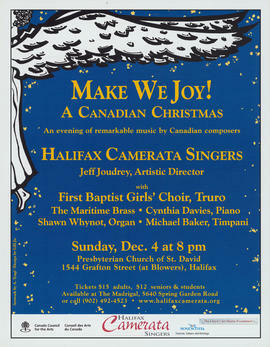 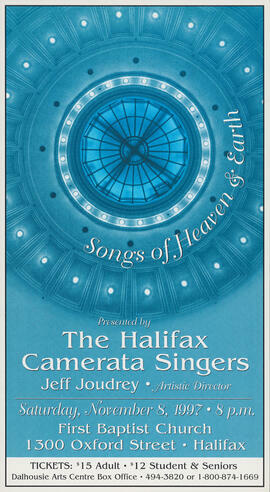 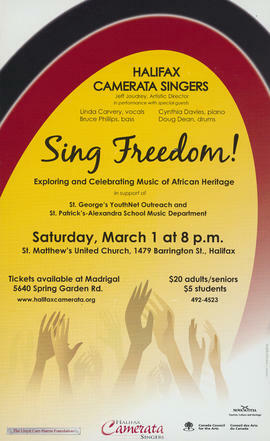 Series contains posters for concerts by the Halifax Camerata Singers, including those performed with various guest artists and ensembles, including several collaborations with Symphony Nova Scotia. 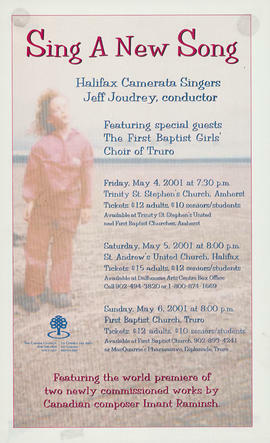 Most of the concerts took place in Halifax, Nova Scotia, with some elsewhere in Nova Scotia, and in Prince Edward Island and Alberta. 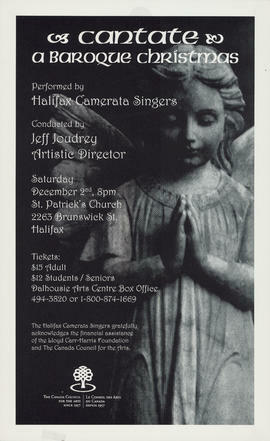 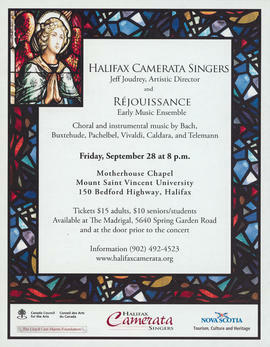 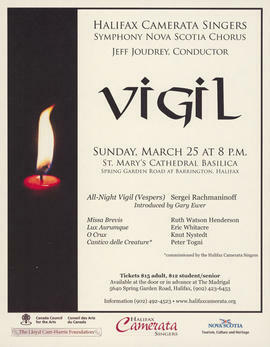 Posters were donated to the Dalhousie University Archives in 2018 by Bertrum MacDonald, who joined the Halifax Camerata Singers in the 1991-1992 season. 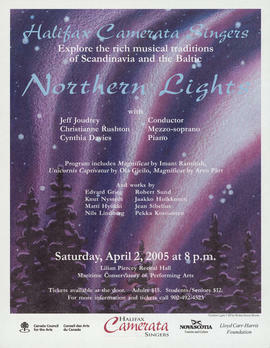 Posters are listed in chronological order from 1993 until 2017. 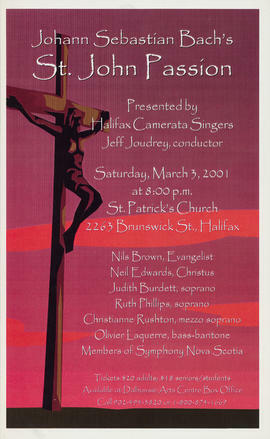 Some posters for earlier concerts are stored with the program from the concert under the series "Performance records of the Halifax Camerata Singers". 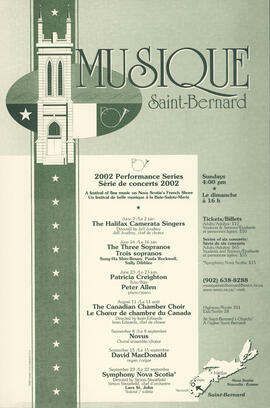 See MS-5-15.2006-018, Box 1, Folders 17-18, and 22, and Box 2, Folders 1, 10, and 22.